Scotch & Soda Maison Scotch Spring/Summer 2012 Lookbook. 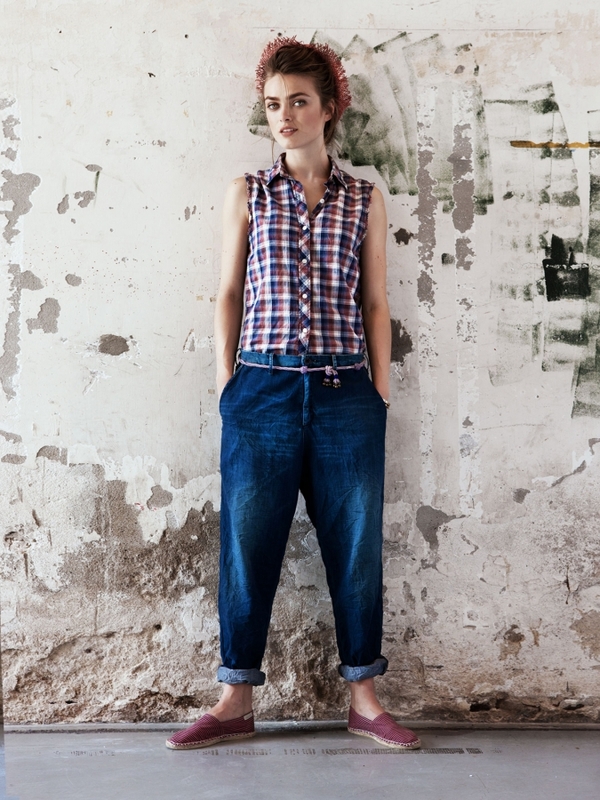 We've taken a peek at the new Scotch & Soda Maison Scotch spring/summer 2012 lookbook and we are irremediably in love with all those effortlessly hip and uber-stylish ensembles. Check out the Amsterdam-based fashion brand's collection for the season ahead and start filling your wardrobe with practical and nonchalant chic pieces! Scotch & Soda moves into the warm season with a wide range of pieces designed for people who love their clothes and enjoy wearing them. The Amsterdam-based fashion brand's Maison Scotch Spring/Summer 2012 collection is filled with uber-stylish, extra comfy goodies addressing to fashionistas who are not afraid to try innovative ensembles and stand out as unique during sunny days. The label suggests a fresh, modern, free and effortlessly hip style with various fab clothes and accessories perfect to just throw on and go. The new Scotch & Soda Maison Scotch Spring/Summer 2012 lookbook features an array of undeniably fashion-forward combos created by mix and matching different fabrics, colors and prints. Create a flawless nonchalant, classy outfit by wearing a pretty top with pants and ballerina flats. A soft cardigan will keep your look casual and right on-trend. Can you imagine something more practical and versatile that can solve any style dilemma in an instant than the old-faithful denim? Well, all denim lovers out there should be excited as the brand's collection for the season ahead comes with a parade of jeans, shirts and jackets to gear up your wardrobe. Since the contrasting trend is still big news this season, the Scotch & Soda Maison Scotch Spring/Summer 2012 lookbook also brings an eye-catching kaleidoscope of punchy shades. Be audacious and dare to have fun with two different colors for a roll-worthy appearance. Think wearing your fuchsia pants with a vibrant blue t-shirt and a pair of stunning purple shoes for a surprisingly stylish look. If color blocking is not for you, try adding just a pop of color to a simple outift. We definitely heart the Scotch & Soda lively-colored pieces that have become musts on our wishlist! If you're on the hunt for one-of-a-kind ensembles with a little edge, look no further than the new Scotch & Soda collection. Be a real trendsetter and put your creativity to the test! Wear your shorts with a basic, relaxed tee, a leather jacket and ankle boots. 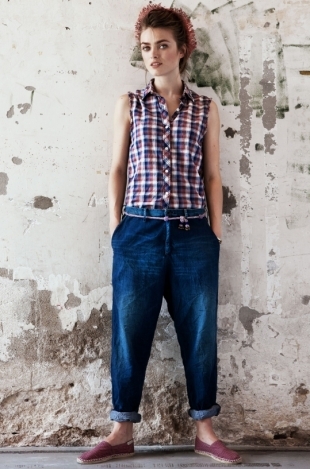 Or, team a checkered shirt with loose jeans and finish your look with a pair of espadrilles and a hat. Check out these fab eye catchers in the Scotch & Soda Maison Scotch Spring/Summer 2012 lookbook and start filling your wardrobe with oh-so-fashionable, functional pieces!